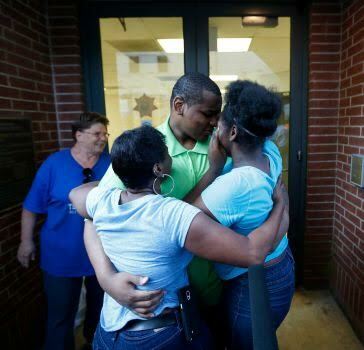 On June 8, 2015, Alfred Dewayne Brown walked free for the first time after more than ten years in solitary confinement on Texas death row for a crime he did not commit. Today we reached a milestone in our collective effort to help him rebuild his life. We hit $3,585 raised and we still have about two weeks to go before the end of the fundraising campaign. We set a goal of raising $5,000 and now we know that the goal is within reach, but we need to ask you to help us reach the goal by sending the link to the fundraising page to your friends with a personal request for them to help Dewayne. Ask your friends how they would deal with freedom after ten years on death row. They would certainly worry about having enough for food, clothes and other basic necessities. Please send the link to 3 or 4 friends and mostly likely one of them will pitch in to help. If you have contacts at any organizations you could also ask them to send out the link in their newsletter or email their members. You could also post the link to your facebook and twitter accounts! You can donate online by credit card at the link above.